One of the core beliefs of Cooking Healthy Academy is that there is power in working with your hands and being truly present. Whether you crochet, paint, garden, or cook … there’s something transformative that takes place when you use your own two hands to create something beautiful. Through this program, we help you rediscover your relationship with nutritious food through the simple act of cooking for yourself. 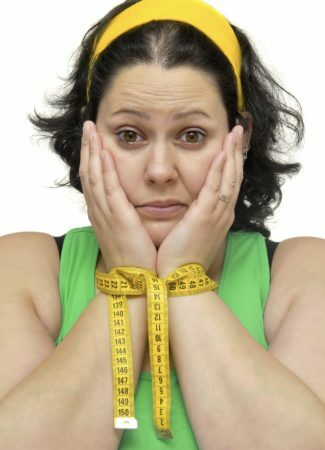 We’re not a boot camp trying to shock you into shape through restrictive diets. Our approach is more holistic than that. We simply want to teach you ways of selecting and preparing food so that you can alter your life for the better. There’s a misconception out there, which implies that eating healthy is all about restriction, depriving yourself, or eating meals that taste like cardboard. The truth is that, by learning how to cook properly, you realize how much variety there is in eating healthy. When food stops hurting you and begins to heal your body instead, you rediscover flavors and feelings that energize and motivate you. Have you ever wanted to talk back to the chef on a cooking show? Well, here’s your chance! With regular cooking parties and a support system online, you’ll have the opportunity to talk with Maureen and fellow clients as you build a long-lasting, healthy relationship with food. Cooking healthy does not need to be all-consuming or complicated. At Cooking Healthy Academy, we create healthy food fast while having a blast! Monthly Cooking Parties – Video conference with Maureen as she cooks healthy food that is delicious and easy to prepare. During this interactive two-hour cooking show, you’ll receive menus, grocery shopping lists, and recipes so you can make these meals again and again. Weekly Meal Prep Parties – In addition to the monthly cooking show, you’ll have the opportunity to prep with Maureen three times per month. This one-hour prep video gives you a chance to prepare nutritious food for the week ahead. Lean Themes Action Guide – Each month, you’ll have access to action guides that correspond with the twelve teachings of Getting Lean. These guides will motivate you to stay on track with tips you can really use. Access to a Private Lean Lounge on Facebook – This is a space where you can share your successes, ask for support, and participate in challenges for prizes. With live videos and motivational tips, it’s a great way to find community and keep yourself on track. Cooking Healthy Academy is a month-to-month program. We don’t lock you into a contract. You can choose to pay $197 per month, or pay 3 months in advance for a discounted total of $550. Remember, your relationship with food is a symptom of deeper issues within your psyche. As a chef and a life coach, Maureen helps you repair your relationship with food – and with yourself. Along the way, you’ll meet fellow travelers, all with the same goal: to empower one another to live healthier lives. Book your FREE "Fire Up Your Inner Chef" Consultation to get started with the Cooking Healthy Academy Program!